Sources in DoPT say the charges against Verma are serious in nature. 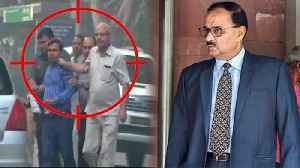 ▶ Videos for "Alok Verma"
Alok Verma was ousted from his charge as the Director of Central Bureau of Investigation following a high-level meeting at PMO, comprising of PM Modi, Leader of Opposition Mallikarjun Kharge and Chief..
Alok Verma, the first CBI director to be removed by a PM-led panel, refused to take up his next assignment and resigned from service on Friday. Verma, who was not allowed to represent before the..
News Bulletin: PM Modi Demonetisation, Ajit Doval, Sushma Swaraj, IND vs AUS T20 . Millions of farmers in India were unable to buy seeds and fertilisers for their winter crops because of.. The case of CBI corruption does not seem to be resolved at the moment. Alok Verma's two-year term is being completed in January next year. 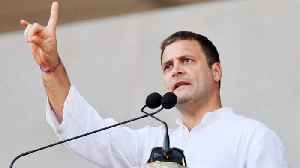 In such a case, after going ahead with the investigation of..
Congress president Rahul Gandhi on Thursday slammed Prime Minister Narendra Modi over the ongoing rafale deal issue. 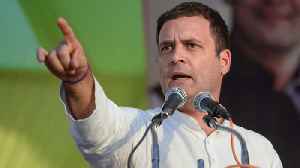 He said, Prime Minister removed CBI director Alok Verma from his designation in the..
Congress president Rahul Gandhi on Thursday slammed Prime Minister Narendra Modi over the ongoing rafale deal issue. He said that Prime Minister removed CBI director Alok Verma in the middle of the.. In the case of spying out of Alok Verma's house, the IB says that they are the officials of the IB. On the whole, information bureaus sources said, &quot;Such officers are on routine duty, so they..
4 persons held from outside Alok Verma’s residence . 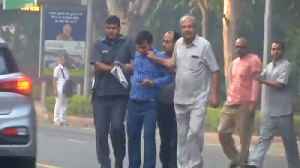 Four people have been detained in suspicious circumstances outside the house of the CBI's Alok Verma. 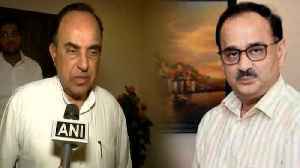 All four are accused of being present..
BJP leader Subramanian Swamy comes in support of CBI director Alok Verma. Internal conflicts in the CBI are increasing. 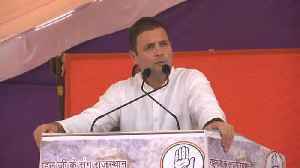 In the case of CBI corruption, now BJP leader Subramaniam Swamy gave a big..
Jhalawar(Rajasthan):Congress president Rahul Gandhi took a potshot at Prime Minister Narendra Modi on the ongoing CBI turmoil between Director Alok Verma and special director Rakesh Asthana and alleged.. The DoPT has indicted Verma on stopping his junior Rakesh Asthana from mentioning Rakesh Saxena, the then IRCTC director, name as an accused in IRCTC scam. Verma has been accused of deliberately.. The Ministry of Home Affairs (MHA) had directed Verma to take charge as director general of the Fire Services, Civil Defence and Home Guards on Thursday. 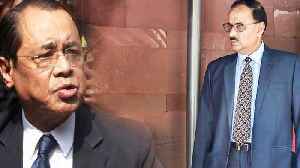 Verma was first moved out of the CBI by the government in a midnight order on October 23, 2018 on the recommendation of the Central Vigilance Commission (CVC). The DG, fire services, posting was given to him in the wake of his removal as head of CBI on January 10. Verma declined to take up his posting, arguing he had actually superannuated in 2017 and was in.. The Home Ministry had directed Verma to take charge as Director General of the Fire Services, Civil Defence and Home Guards on Thursday. The government has faced widespread criticism over CBI chief Alok Verma's removal. The 24 January meeting of the selection committee had remained inconclusive. The meeting, held at the prime minister's official residence, was attended by Chief Justice Ranjan Gogoi and leader of the..
Prime Minister Narendra Modi-led committee on Thursday met here to decide the name of the next CBI chief, the post lying vacant following the unceremonious exit of Alok Verma early this month,..
M Nageshwar Rao’s was made the interim CBI director after the selection committee removed Alok Verma as chief of the probe agency on charges of corruption and dereliction of duty. The meeting comes after the panel ousted Alok Verma from the post earlier this month. 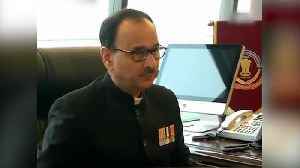 The Delhi High Court on Monday declined to entertain CBI Deputy SP Devender Kumar's plea, which had sought direction to the probe agency not to allow its then director Alok Verma to deal with FIR.. In the euphoria of Alok Verma's victory against the government, the nuance was lost. 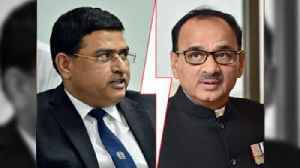 The Supreme Court had brought Alok Verma back as a lame duck only because the government was wrong in the strict..
A week after a high-powered committee led by the PM removed Alok Verma as CBI director, the government "curtailed" the tenure of his estranged number two, special director Rakesh Asthana on Thursday,..
Recalling the speech of Kovind on the annual convention of the central information commission last year where he had said there was no such thing as too much information in a democracy, Acharyulu said.. The high-powered selection committee headed by Prime Minister Narendra Modi is likely to meet on 24 January to appoint the new CBI director succeeding Alok Verma whose ouster has triggered a major.. 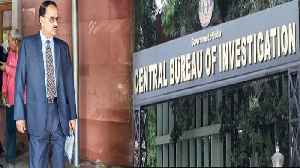 The selection panel which is to decide on the new CBI director will meet on 24 January to take its decision. The panel comprises of Prime Minister Narendra Modi, Chief Justice of India Ranjan Gogoi and..
PM Modi heads the committee while Chief Justice of India and Mallikarjun Kharge are the other members of this panel. 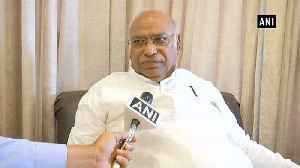 Speaking further on the action taken on former CBI director Alok Verma, Kharge again outlined the need to bring out the minutes of the meeting in public domain. Mallikarjun Kharge, who is part of the prime minister-headed three-member panel that removed Alok Verma as CBI chief, alleged that the government is scared of a CBI led by an "independent"..
"Actions of the government indicate that it's scared of a CBI headed by an independent director," the Congress leader wrote in his letter to PM Modi. Mallikarjun Kharge also asked Prime Minister Narendra Modi to immediately convene a meeting of the Selection Committee to appoint a new CBI director. The fresh changes have been effected by M Nageswara Rao, who was made the interim chief of the probe agency after a high-powered committee comprising Prime Minister Narendra Modi, Justice AK Sikri and..
Justice AK Sikri of the Supreme Court wants the controversy, over his proposed post-retirement assignment and nomination on the PM-led panel which removed Alok Verma as CBI chief, to "die"..
New Delhi: Justice A K Sikri of the Supreme Court wants the controversy, over his proposed post-retirement assignment and nomination on the PM-led panel which removed Alok Verma as CBI chief, to "die"..
On 10 January, Alok Verma was removed from his post at the CBI after a high-powered selection committee, comprising Prime Minister Narendra Modi, Leader of the Opposition in the Lok Sabha Mallikarjun..